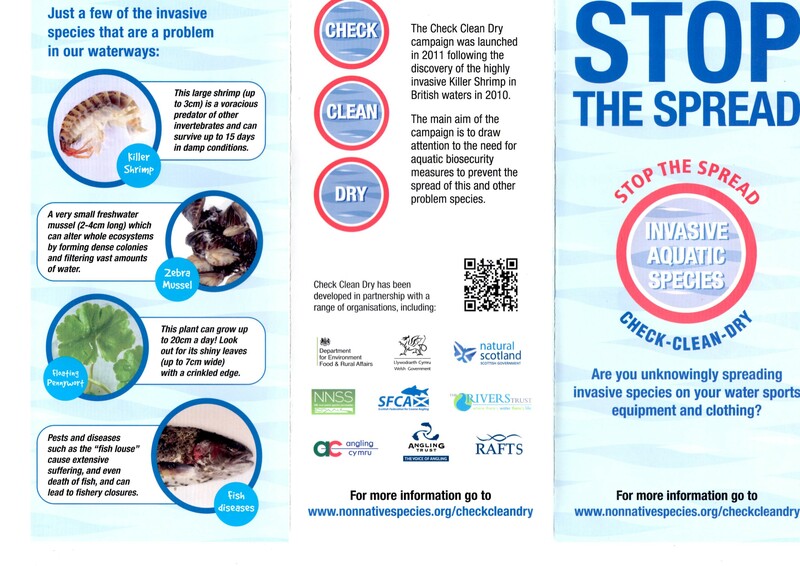 With invasive species the hot topic this leaflet my be helpful to anglers, available from the main bodies covering rivers and angling. 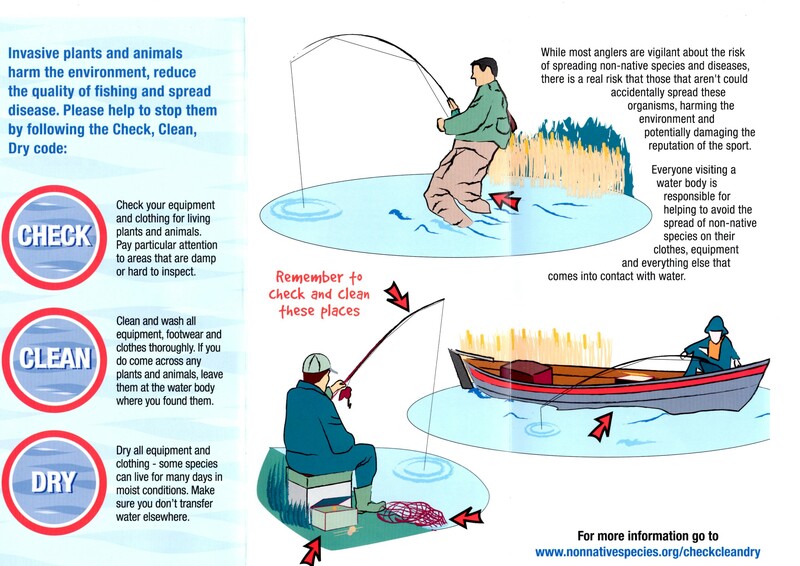 Clean, check and dry your equipment carefully when moving from one water to another, diseases eggs and small creatures can attach them selves to your equipment, rods, lines and of course waders. Anglers may feel that we are able to achieve very little but by helping to slow the spread on our own river and avoid transfer onto other waters we can do something. We may not be able to turn back the clock but we can at least slow progress and protect waters which are not yet infected/inhabitted. Anglers, please be aware any PINK SALMON caught and killed is not part of your catch limit. Please report any catches to the club. Pink Salmon are non-native fish and not welcome in the River Wear. 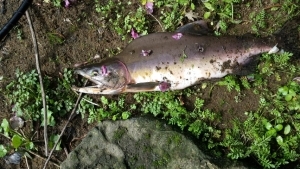 Pink Salmon Found in the Wear. Pink Salmon have been found in the Tyne and now in the Wear. If a Pink Salmon is caught, DO NOT RETURN it to the river. 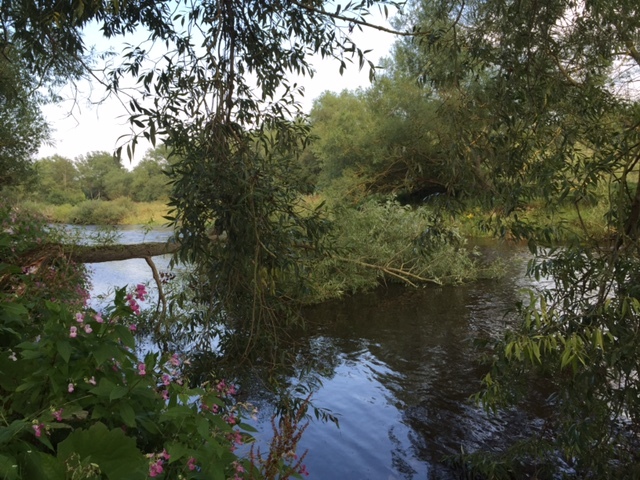 A tree which fell across a popular stretch of water has been removed by the bank work team. The fallen tree blocked the path of anglers moving through this pool and offerd a great snagging opportunity for any fish hooked. A fallen tree blocks the angler’s way.